Yamaha Marine Group this week hooked up with the professional anglers behind the National Geographic Channel&apos;s TV series "Shark Men" to promote the durability, endurance and low maintenance of its outboard engines and control systems. Twenty journalists gathered at the Sanibel Harbour Marriott Resort & Spa in Fort Myers, Fla., for the Yamaha summer media event. They had the opportunity to test boats powered with the Yamaha outboards and interview a team of fishermen and researchers led by Chris Fischer, the man behind the TV show and the founder of Ocearch, a non-profit organization that researches large marine species such as the great white shark. "The reason for getting the shark men involved is that they have such an excellent story to tell in that they use our product really hard. They&apos;re unforgiving in the way they use the product," says Martin Peters, Yamaha communications manager. 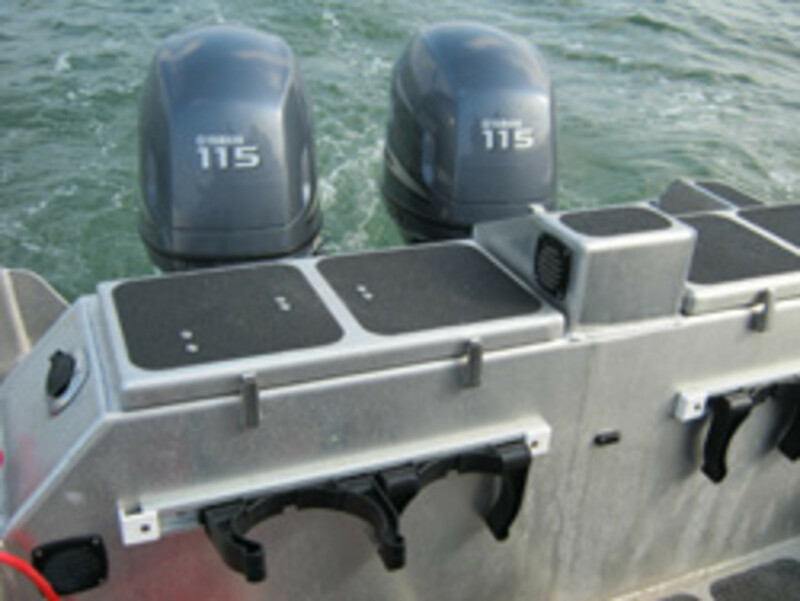 The shark men use two boats with Yamaha power: a 21-foot SAFE Boat (twin Yamaha F115 4-strokes) and a 23-foot Contender center console (twin Yamaha F250 4-strokes). "With Yamaha, you turn the key and it runs. That is the most important thing for us," says ship engineer Denny Wagner, who maintains the operation&apos;s engines, boats and equipment. "We&apos;re working real tight to the beach and around big reefs and rocks. And with the sharks it is pretty obvious why we need stuff to run without failing. If you have a 3,000-pound white shark you&apos;re dealing with, you want your equipment to function." Journalists got a chance to test the Safe Boat, a rugged aluminum craft with a high-density foam collar. The media also took tours of Fischer&apos;s 126-foot Ocean, a former Bering Sea crabbing vessel that now serves as his mothership. It was anchored just outside the resort&apos;s marina. In addition to the Safe Boat, 12 other vessels were tested, including two Rangers (168 Phantom with an F70 and a Z518 Intracoastal with twin Yamaha F200s); a Maverick 17HPX with F70; a Nautic Star 2200 with F250s; a Shearwater 23TE with an F250; two Skeeters (a ZX 20 Bay with an F115 and a ZX 22 Bay with an F250; a Scout 251XS with an F300; a Pursuit ST310 with twin F300s; and a Contender 35ST with triple F300s. The summer media event began Tuesday afternoon and wraps up today.